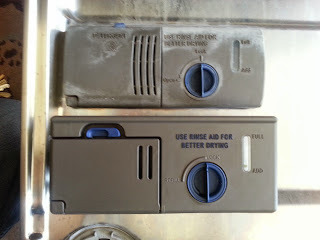 DIY Project - Dishwasher detergent tray replacement. I like DIY projects. You show the wifey that you can be handy, save money, and help out around the house. You have good reasons to watch youtube videos, go shopping at Amazon and Home Depot and even do a little blogging. 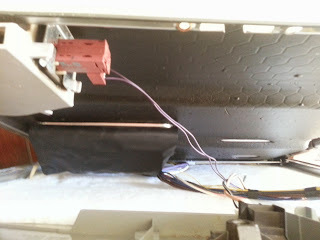 The downside risk is that if you mess up then you'll have to call the appliance repair guy anyways. You might be out a few extra buck if you got the wrong part and can't return it. 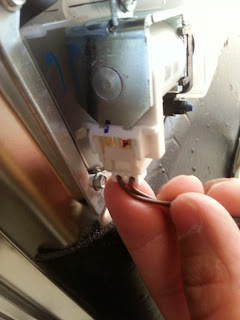 However, chance are, most appliance are designed for easy part replacement and repair so do a bit of internet research and try it. It might be fun. - 30 minutes of research and ordering the replacement part. - 5 days waiting for the part to arrive. Watch these two youtube videos. Everything worked as shown by the video guide. I added some detailed photos to show steps not covered by the video and specifically for the KitchenAide dishwasher. The replacement is not exactly the same. It's slightly bigger and bulkier. You only need 2 tools for the project. You'll need to remove 12 security screws to open the front panel. You can buy a good security bit set in any hardware store. One simple advice. put the screws down in the relative position where it was removed from the panel. 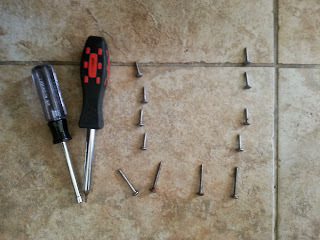 It helps to remember how to put the screws back on correctly. 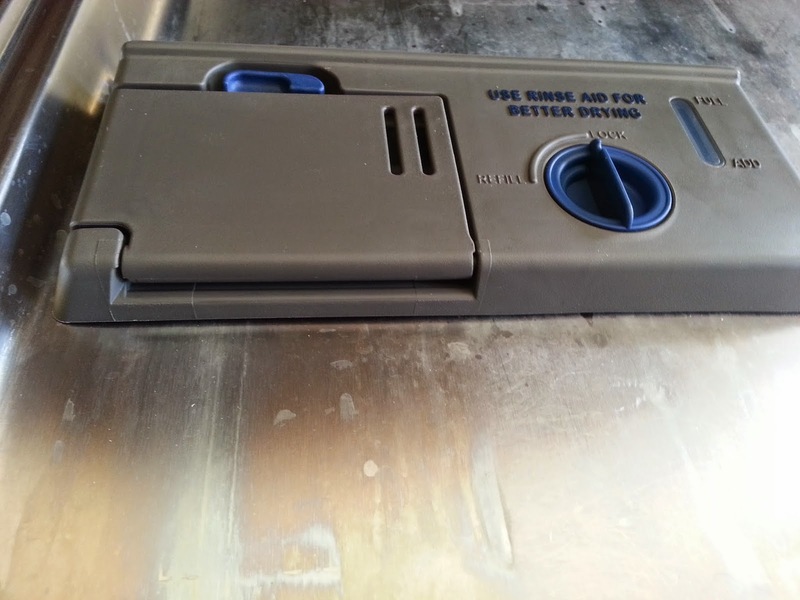 Lift and open the front face of the dishwasher slowly. Disconnect any additional connectors before removing the panel completely. Disconnect the power connector from the tray. No tools or large force necessary. There is a flap and a notch in the back of the connector that holds the connector in place. 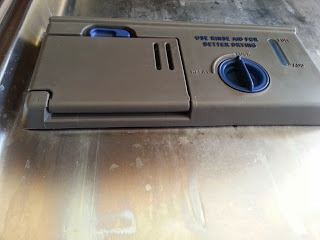 Simply lift the flap and connector pulls out easily. 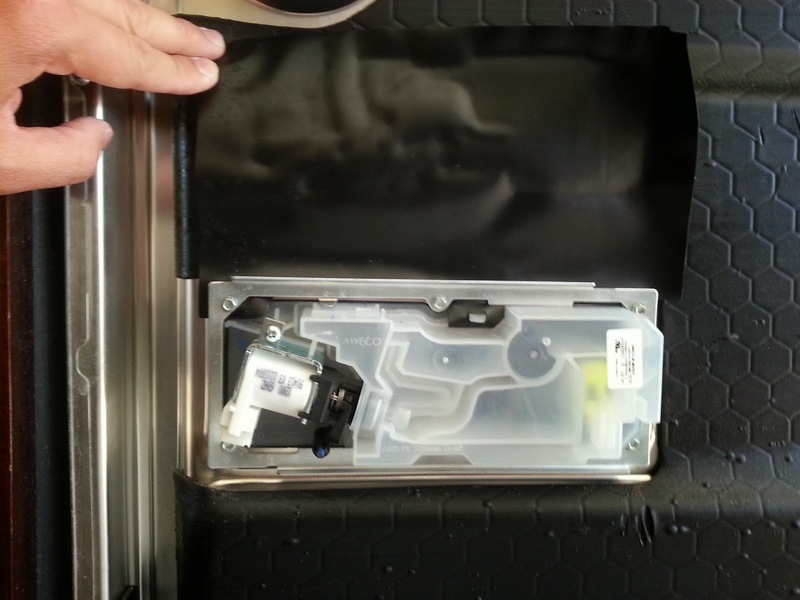 Remove the 6 screws on the mounting plate that secures the detergent tray to the front door. Note how the water protection flap is secured to the mounting plate and the tray. Finally, replace the tray, secure the mounting plate with the water protection flap, and put everything back together again. Here is the final result, there is a tiny gap between the door because I didn't use original part. Time will spend. Dishwasher is working well again, and wifey is happy.